A bridge is a fixture used to replace missing teeth. 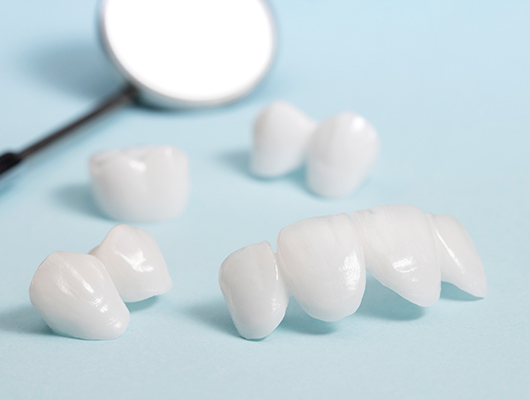 While removable bridges are available, most bridges are permanent or “fixed.” They can be used to replace one tooth or nearly all the teeth in your mouth, thus having both functional and aesthetic importance. Gaps from missing teeth can cause other teeth to shift or move out of their sockets encouraging further tooth loss. Bridges provide an alternative to more expensive dental implants or even dentures. Mal Braverman DMD FADFE. Schedule an appointment with New York City’s own Dr. Braverman for a consultation on porcelain crowns and bridges. A dentist installs a fixed bridge by first cutting down the adjacent teeth and fitting them with crowns. Temporary crowns and spacers will be used until the custom made crowns and bridge can be installed. The space between the crowns is then filled with the appropriate amount of artificial teeth, which are attached to the crowns for support. Correctly installed fixed bridges are virtually indistinguishable from your natural teeth. These appliances can be very expensive, but dental insurance will often cover a large part of the cost. 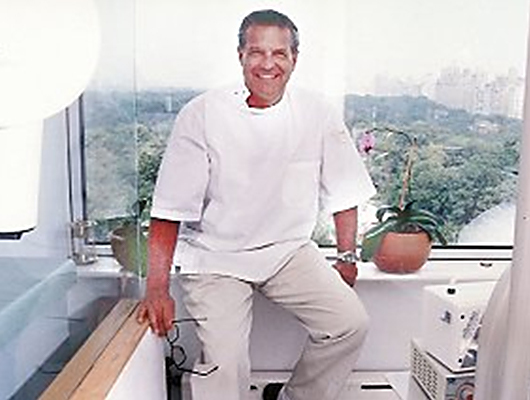 If you are looking for a quality cosmetic dentist in New York City to replace missing teeth, look no further than Mal Braverman DMD FADFE. Schedule an appointment with New York City’s own Dr. Braverman for a consultation on porcelain crowns and bridges. Dr. Braverman will examine your oral health, answer your questions and concerns, and let you know if you are a good candidate for porcelain crowns (or any alternative cosmetic procedure).